We are a completely free resource for Lexington residents, nonprofits, and businesses. 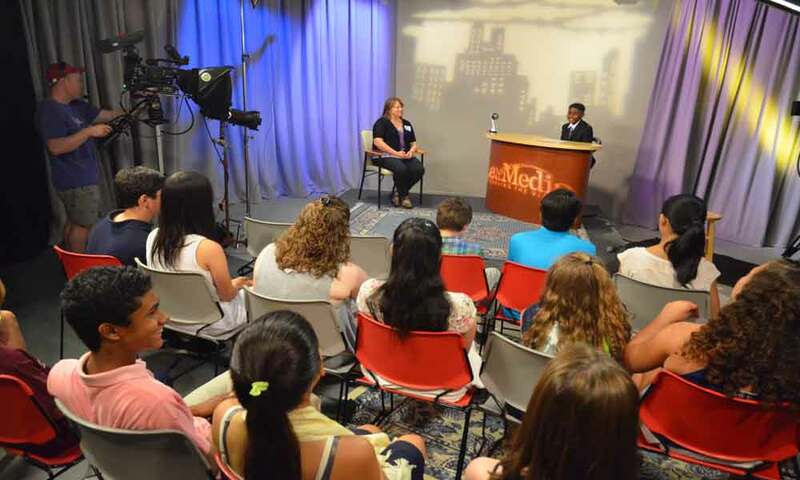 Studio A is our main and largest studio, at 30’-by-25’. The full lighting grid is 11 feet high and holds a comprehensive set of lamps from Fresnels and Soft boxes, to Fluorescents, Spots, and LEDs. The space also offers a 25-foot curved green screen wall. 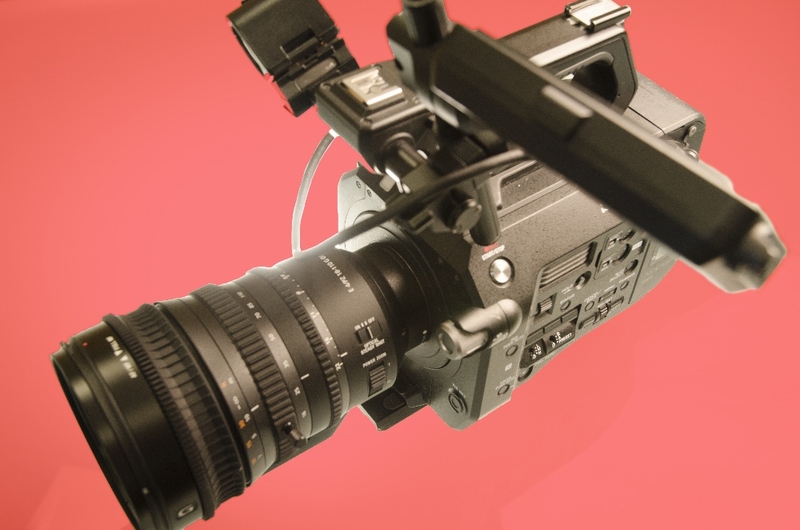 The studio equipment includes three JVC HD studio cameras (one with a iPad based teleprompter system), wireless Sanken Cos 11D microphones, and a large amount of grip equipment. Studio K is our cooking set, it is a complete working kitchen with a 16-foot counter space with a Bosch five-burner induction cooktop, a Bosch oven, refrigerator, microwave, large sink, and full complement of kitchen pots, pans, and accessories. 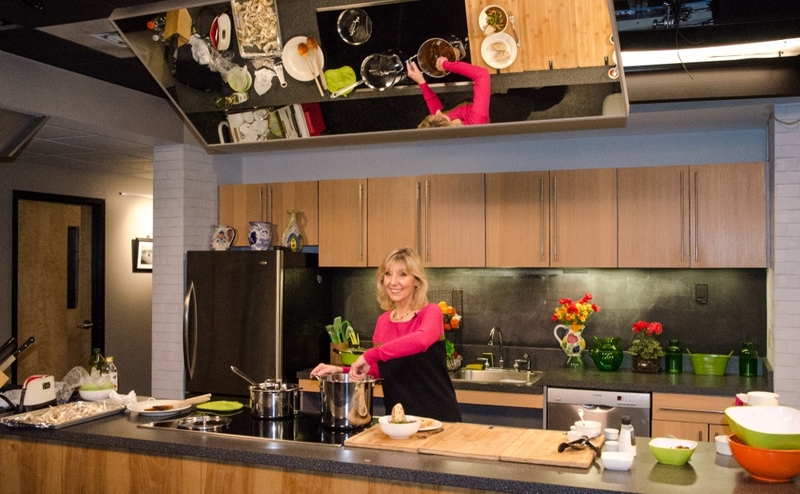 The lighting grid is always ready and fully adjusted for cooking shows, so set up is quick and easy. The space can also accommodate an audience of 20 people. 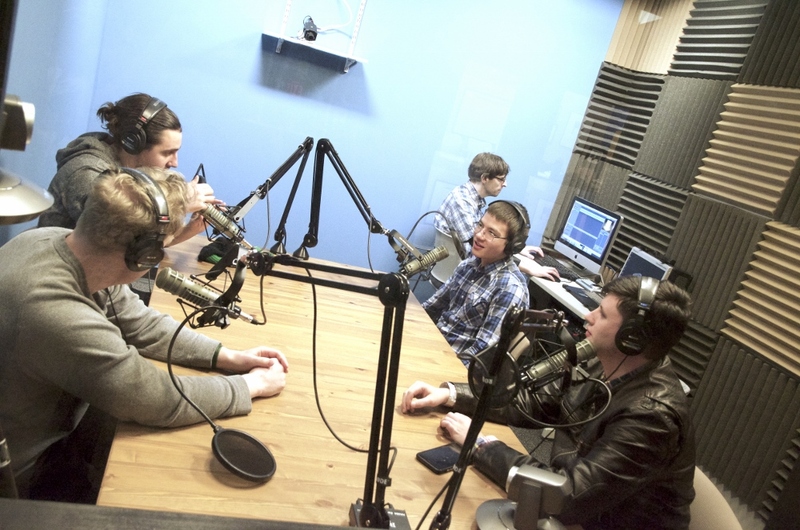 The Fred Rothmel Memorial Podcast room is a state-of-the-art-podcast room, set up to enable four people to easily produce an audio podcast. The room is centered around a 6’-by-4’ table that holds four headphones as well as four ElectroVoice RE20 microphones on articulating arms. The signal runs through a Cloudlifter CL-4 and Focusrite Scarlett 18i20, then into a Mac Pro running Hindenburg Journalist Pro software. The room was designed for sound quality and ease of use. Extensive manual control of focus, iris, and zoom. 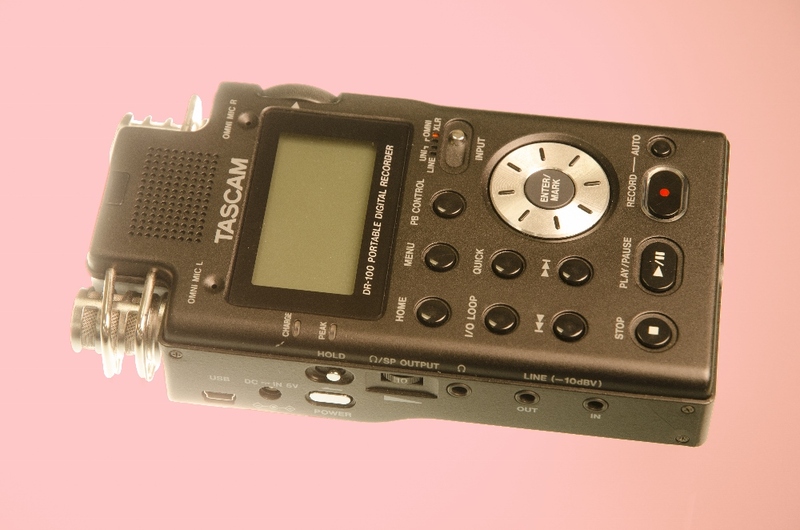 Our Tascam DR-100 audio recorder’s gives professional results in a hand-held package. 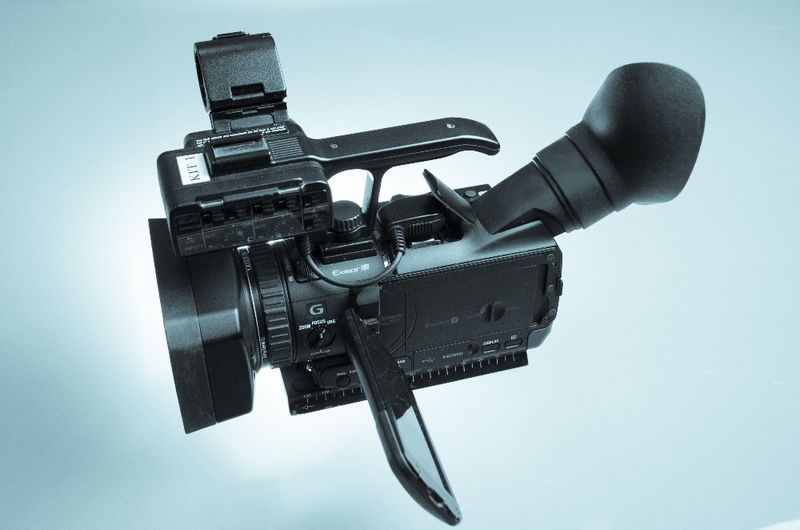 The HMC-150 is a full-function, full-pixel (up to 1920×1080) camera for professional recording. 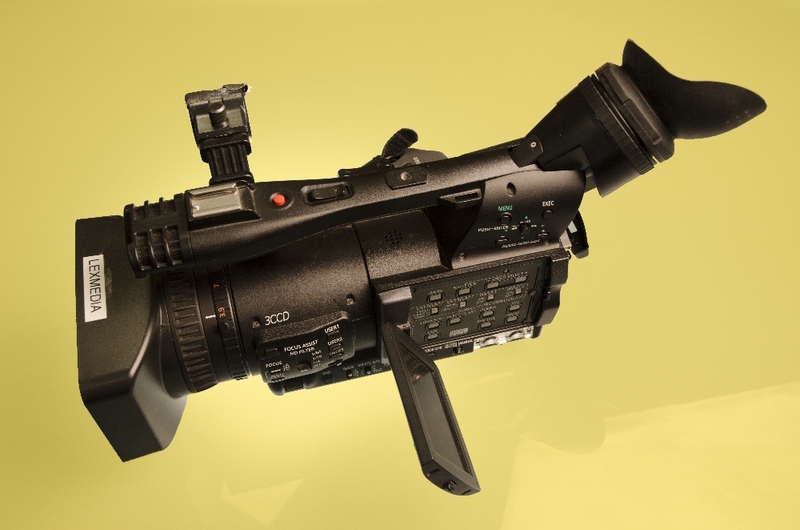 This camera was designed with documentary shooters in mind. Full-featured, ergonomic, and compact. 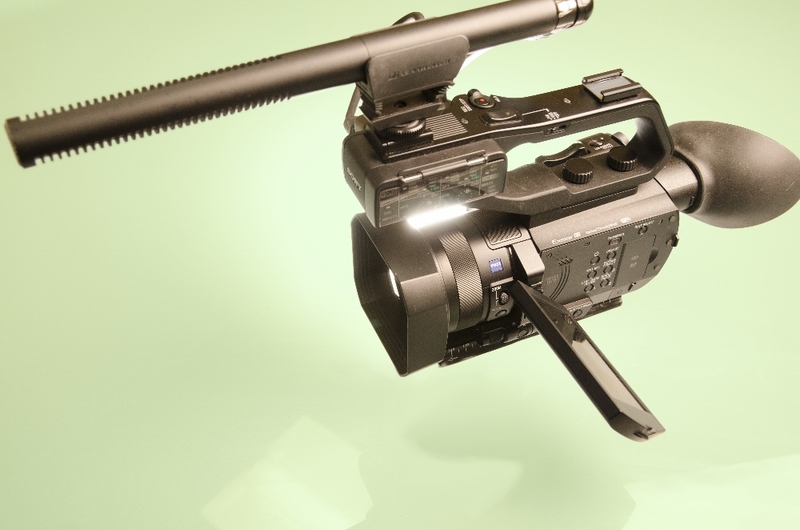 The PXW-X70 is a palm-sized recorder that delivers great results and is simple to use. 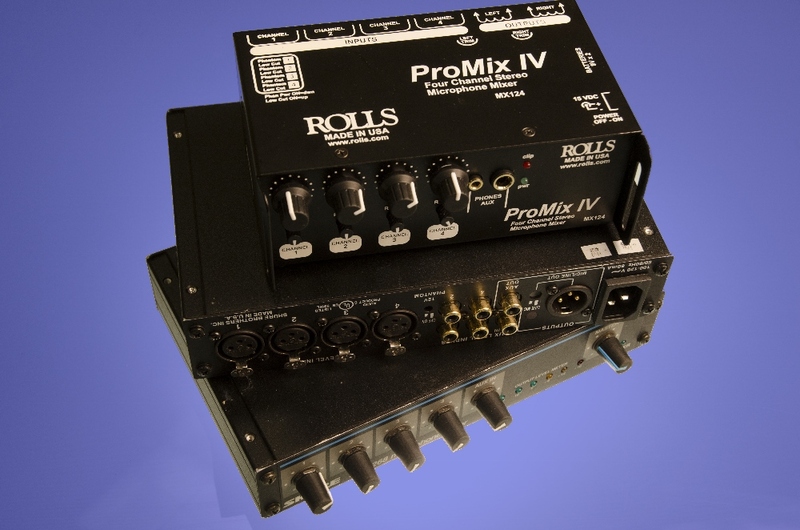 The Rolls and Shure portable audio mixers are available for members to use in their productions. These units enable the use of multiple microphones or sound sources, both Mic and Line level can be mixed and monitored at the camera. 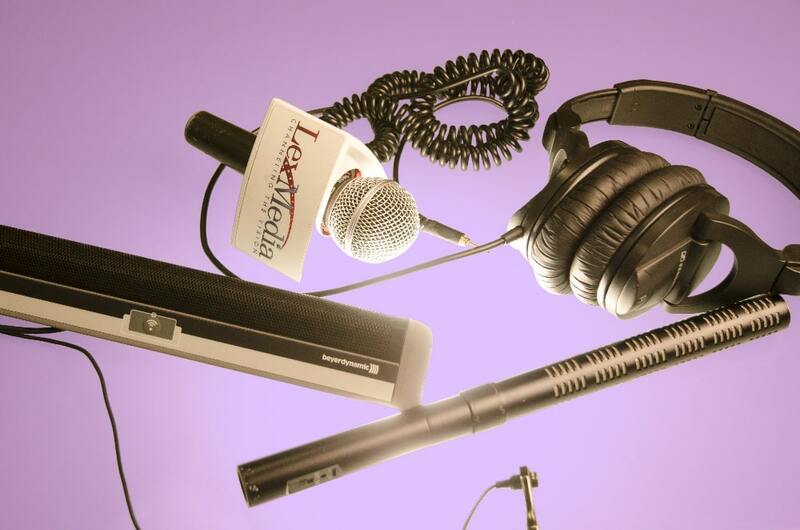 In addition to the portable mixers, we have all the essentials you’ll need to create professional audio for your video or podcast production.